Members of the Missoula City Council got their first look Wednesday at a proposal to annex roughly 3,200 acres of land west of Reserve Street, a plan that’s been floating around for years and is now coming to fruition. In an informational meeting with the Land Use and Planning Committee, Mike Haynes, director of the city’s Development Services, said the area is facing growing pressure for development, and annexation and zoning efforts would help plan for future growth. The proposal looks to zone and annex properties north of West Broadway and west of Reserve, including the Missoula Industrial Park, Canyon Creek Village and Missoula International Airport, which consented to annexation at a meeting last month. It also includes the Highway 10 and Montana Rail Link rights of way. Haynes said the city has been providing utility services to the annexation area for decades and is now in a position to provide a full range of services to those properties, including police and fire, streets, parks and others. “The city can now expand efficiently into and provide services in that annexation area,” Haynes said. “The airport should be within the city jurisdiction, and all private and public development improvements expected through development services. As proposed, the plan would protect airport operations under aviation zoning, and it would add a zoning overlay to the Missoula Development Park to ensure consistency. It would also include residential zoning for property owned by DeSmet School. Initial estimates provided by the city suggest that tax revenues generated by the area’s industrial properties would amount to roughly $724,000 a year. Add residential properties and the tax revenue climbs to around $900,000. That’s expected to grow as new development moves in, though it’s not yet known what cost increases would be incurred by the city through the provision of new services. Still, properties in the annexation area would likely see their taxes increase 20 percent, though that brings with it a full suite of city services. Those taxes would take effect next fall, so long as annexation is completed by the end of 2018, which remains the goal. As it stands, Haynes said, the area is facing new development pressure. The annexation area includes a parcel of land once eyed by Costco, though it’s now under contract by Summit Beverage, which has already sought city water and sewer connections. Property north of Expressway Boulevard is also slated for change. 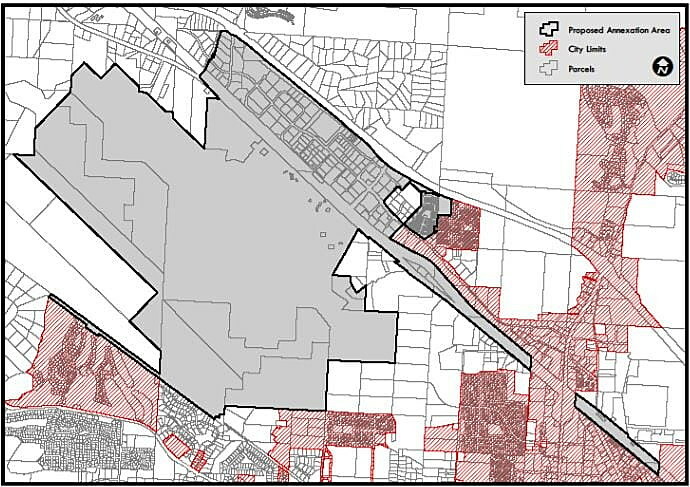 The proposed annexation map leaves what Haynes described as a “doughnut hole” between Flynn Lane and the airport. The county, in partnership with the city, has already applied for a federal grant that would help fund the construction of a new road grid, and pave the way for future residential and light industrial development in the area. 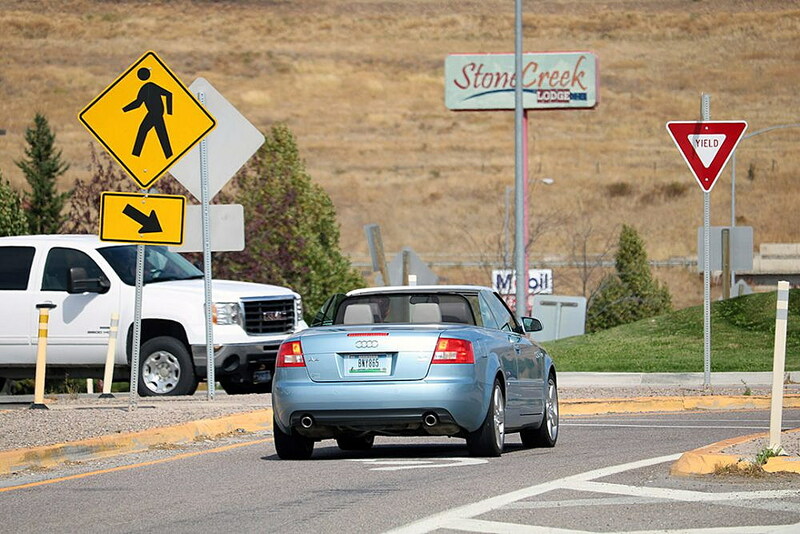 If the grant is approved, that project would extend George Elmer Drive and Mary Jane Boulevard between West Broadway and Mullan Road, and it would bring England Boulevard further west. If approved, annexation would extend Ward 2 and bring roughly 550 new residents into the city. The proposal will go before the Planning Board in October, followed by the City Council in November. One public open house has already been held, and a public hearing before the City Council is set for December. That would be followed by adoption of the plan.